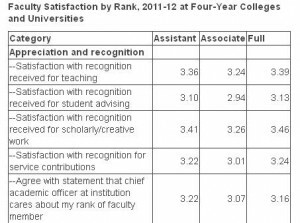 Associate professors register more job dissatisfaction than faculty of other ranks according to a national survey conducted by the Collaborative on Academic Careers in Higher Education. 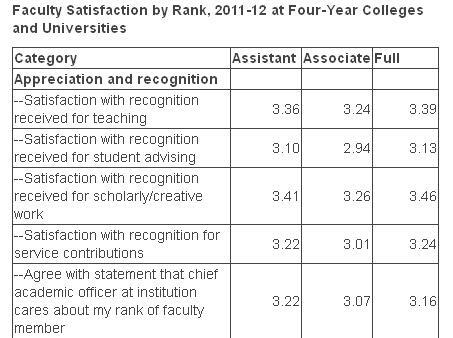 In several categories, associate professors feel less valued and less supported. Their dissatisfaction may reflect a concentration of resources for early career faculty and the let-down of having achieved a major promotion only to face the next hurdle. Focus groups with midcareer faculty in the Department of Medicine revealed similar feelings of frustration. At the same time, their professional needs differ from the needs of assistant professors. Faculty development specifically tailored to associate professors would help them see the path to full.